The Summit For American Soccer in Chattanooga represented a public forum for independent soccer clubs to gather and discuss the future. The participants included the remaining NASL clubs looking for a way to play next year, ambitious semi-pro and amateur clubs looking for a place to grow into and several investor groups looking for options outside of MLS-USL. I had the pleasure of attending the meeting, which occurred in the context of the NASL cancelling its 2018 season, the kick off of the MLS season and the run up to the USL season. Independent soccer clubs who do not feel the MLS-USL system is right for them have both the challenge and opportunity to chart a course for the future, and that is the discussion the Summit For American Soccer was meant to kick off. 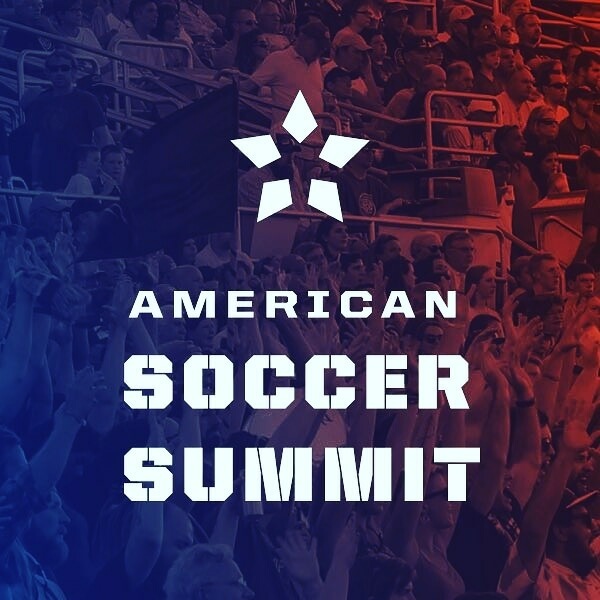 The urgency behind the Summit is that time is getting short to establish a clear direction for independent clubs that want to go pro but do not like or simply cannot access the MLS or USL business models. The USL is moving with a sense of urgency to snap up every market over 100,000 in population into its D2 or D3 before another pro league rival can get oxygen. Meanwhile NASL is no longer functioning as a league, and NISA thus far has had difficulty gaining traction towards achieving a critical mass of clubs. Rather than wait around for others to solve the problem, Chattanooga FC took the initiative to bring a group of like-minded clubs together to select a path forward that can work for enough of them to get something started. But beyond that high level statement, what else could the clubs agree on? The topics of discussion for this meeting stayed mostly centered around questions of “what should we do?” vs diving into a great amount of detail on “how should we do it?” short of the “is this option even a realistic possibility?” level. The “how should we do it?” meeting will be a follow up. There was plenty of ground to cover in five hours on exploring what should be next and the basic viability of each option, and reaching consensus on a general path forward. Chattanooga FC, AFC Ann Arbor, Asheville City, Atlanta Silverbacks, Atlantic City FC, Boca Raton FC, Boston City, Charlotte FC (NISA bid), Detroit City, First Team SC (former Atlanta NASL bid), Foundry Sports Group (St. Louis NISA bid), Greenville FC, Jacksonville Armada, Kingston Stockade, Little Rock Rangers, Miami FC, AFC Mobile, Nebraska Bugeaters, New Orleans Jesters, New York Cosmos, Northern Virginia United, Philadelphia Fury, St. Louis Club Atletico and Tulsa Athletic. The attendance slanted towards groups from the South, East and Midwest due to the meeting being in Chattanooga. There was some discussion that a follow up meeting be in a more central location that also serves as a major airline hub, such as Chicago, Denver or Dallas, to facilitate more participation from western clubs who would have liked to attend. Regardless, someone needed to kick off this great cat herding exercise and kudos to Chattanooga FC for getting it done. Now there is a start and they have something to build on from here. The ball is rolling. Tim Kelly’s opening presentation set a tone that clubs are more important than leagues, and leagues are primarily vehicles for the clubs. Despite the hard times that have hit generally US soccer (missing the World Cup and its repercussions) and specifically the NASL, Kelly expressed optimism that community based clubs like many of those in the room have put down strong foundations that will last the test of time. 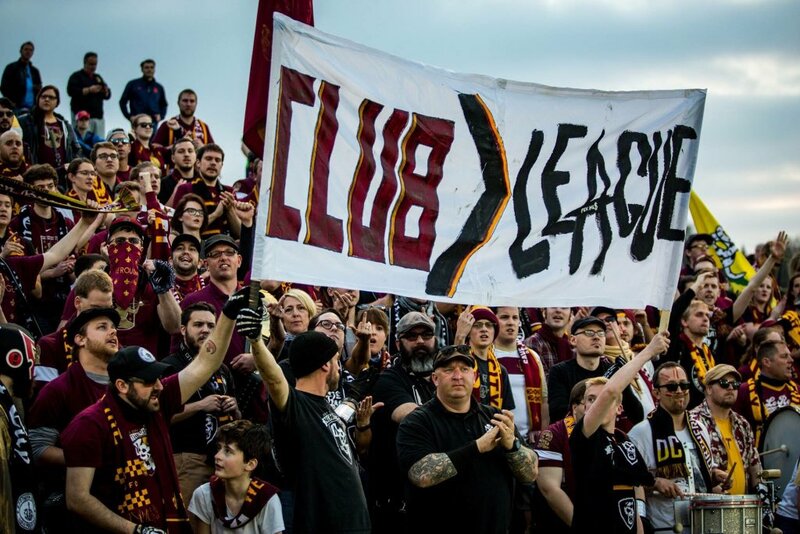 Given that many (but not all) of the clubs attending are not inclined towards joining the United Soccer League or one reason or another, options going forward were several but in many cases were also filled with as many questions as answers. People in the room had some of those answers, through Robert Palmer’s recent efforts to research various options in a project he dubbed “Division Zero”, to the experienced league administrators like Joe Barone and Rishi Sehgal who have been around these blocks a time or three, to Duncan Riddle of the United States Adult Soccer Association and his understanding of what is possible within that system, as well as others in the room. People raised questions about possible paths, and often someone in the room had an answer that built on the collective knowledge. One possibility includes joining another league that intends to function under the USSF Professional League Standards. Peter Wilt’s National Independent Soccer Association (NISA) is the prominent plan in this area. Among the challenges with a PLS league discussed would be whether to trust the USSF board to fairly regulate such a league given what is widely perceived as past favoritism towards MLS and USL, and a suspected desire on their part to have one sanctioned league per tier. Another potential route would be to play without sanctioning from USSF, which would introduce challenges around FIFA player contracts, hiring referees for matches and would result in exclusion from the US Open Cup. Running a national league through the USASA is a middle ground option that seemed to be favored among many of the attendees. While it seems you cannot call a league a “professional league” if it is run through USASA, teams can have players sign professional registrations with USSF. The USASA have been the reliable defenders of independent soccer thus far, with its leader John Motta standing alone in opposition to the rest of the USSF board to vote for sanctioning the NASL, according to lawyers in the USSF antitrust case. It is easy to see why many of these groups, which already play under the USASA, would be comfortable within that organization. Creating a new Federation was also introduced as a discussion point, but was quickly put aside as a quixotic initiative unlikely to succeed in swaying FIFA. While the general sense in the room was that these clubs feel that the USSF board is not representing their interests, they are not yet at the point of going all in on a new Federation versus trying to reform from within, while the antitrust case and Court of Arbitration for Sport filing run their course to apply pressure from the outside. The mood in the room in Chattanooga indicated a larger contingent of that audience is inclined to distrust the USSF board and strike out to build something under the banner of USASA. However, there were at least two group that remained seriously interested in NISA. With a Spring 2019 start back as the target, NISA likely has time to get to eight teams. If they can get to eight, it might be a tipping point for others to give it a try. A critical mass of clubs beyond the minimum required number by the PLS is necessary to establish comfort in some owners, so that if something changed for a few owners after a season, and those teams left, there would still be a large enough amount of teams that the league would not fall below required number for sanctioning. The path forward NISA offers requires taking at face value the assertion of the USSF lawyers in the antitrust case that the USSF board will sanction any league that can meet their PLS at the tier at which they meet them. Folks who have been through the ringer with the USSF board on this via NASL find it hard to believe USSF intends to sanction more than one league per tier, and with USL rolling out a D3, the expectation is that would be treated with favoritism over any other competitors for that level. While there was a sentiment to be open minded and give new USSF president Carlos Cordeiro a fair shot individually, the overall feeling toward the USSF board still heavily influenced by Sunil Gulati and Don Garber is one of skepticism. For example, a recently effort to get the New York Cosmos, Jacksonville Armada and Miami FC US Open Cup berths via the USASA was shot down according to one source at the meeting. Due to the perceived bias of the USSF board toward MLS and USL, many see investing hundreds of thousands of dollars or millions of dollars into a professional soccer club under the PLS as risky. Ultimately the USASA route seemed favored by the audience in Chattanooga. It avoids the uncomfortable aspects of an unsanctioned league by remaining tethered to the USSF system and therefore FIFA via the USASA. The semantics of how you can market your league are an issue, but that can be overcome fairly easily. There are some logistics around insurance if all players have signed professional registrations, that need to be examined but can be overcome. The option enables leagues filled with teams featuring professional level players, with FIFA sanctioning in tact, while avoiding the constraints of the PLS. It would be important for a USASA sanctioned league to avoid using college players in such a team, as any college players would lose their NCAA eligibility if they played on a team with a pro player, however they can play against pro players. This happens all the time in the Open Cup today, when PDL or some NPSL teams face pro teams. College players are impractical for a full season league anyway, so how to source players for a full season team without using NCAA players is something any current NPSL club would have to address. The USASA path is not without risk, in that a truly hostile USSF leadership could move to try to enact a rule change to close down the option of having professional players on USASA teams. Just recently the USSF voters found the courage to reject a brazen power play by MLS interests to make Soccer United Marketing executive Kathy Carter the USSF president, so they may not be successful in what could appear to be an attempt by the Pro Council exert dominance over another Council. The details over what the a USASA sanctioned national league might look like were only painted in broad strokes in this meeting, which was primarily about which path to choose. It is likely that subsequent meetings that include clubs interested in this approach will focus on developing this path out further. At a high level, what is likely to result from this a league consisting of several regional conferences that play internally until the playoffs. Each conference would need about 8 teams to get started. The season would take place from around March to November. 32 games was thrown out as a number that made sense. 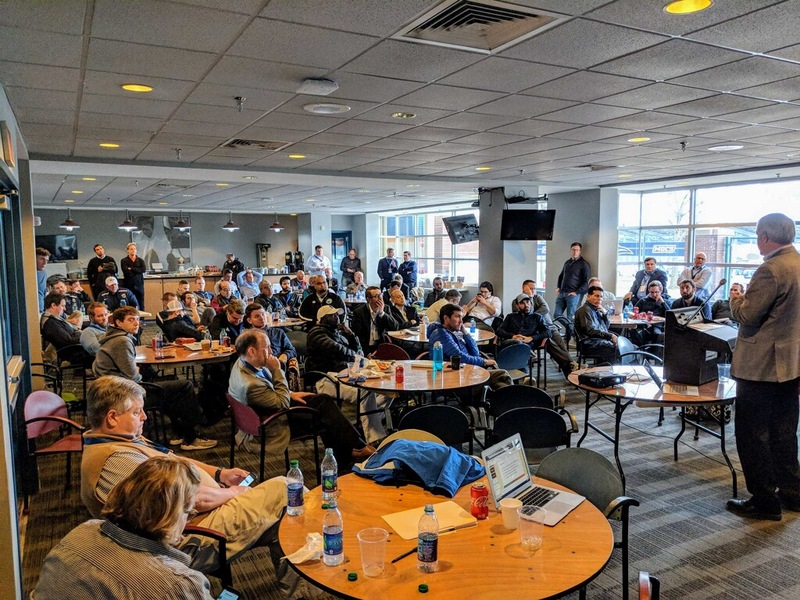 Speculatively, the NPSL’s regions – Northeast, South, Midwest and West – would seem to broadly map to a set of conferences that might make sense, but that level of detail was not explored at this meeting and is a likely agenda point for a follow up meeting. Previously there had been talk of a multi-tier setup within NPSL, with a national level (likely consisting of the NASL teams and the 7 NPSL clubs that had NASL Letters of Intent per court documents), a full season elite amateur level for those ready for a longer schedule but not necessarily ready to go fully pro and then the traditional short season NPSL league. The momentum in this discussion shifted to a flatter, more regionalized setup to start with, but this is likely open to discussion in future meetings. There was also some talk of setting up a cup tournament this Fall that could include the NASL clubs and those clubs looking to do a trial run of the full season approach. Consider that actually coming about TBD. 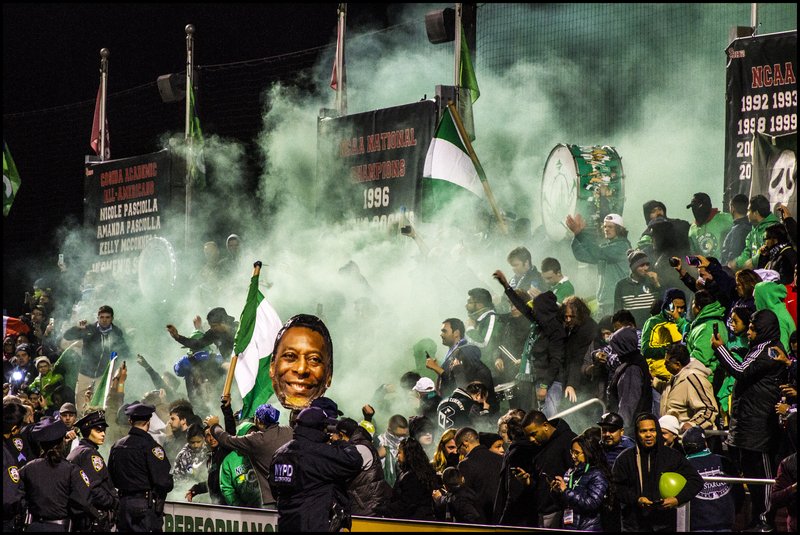 The 2016 NASL final may have been bigger than Belson, but the 5 Points will follow their club anywhere. Toward the beginning of the meeting, Robert Palmer spoke about some of his ideas for building toward long term financial sustainability. One of the central ideas to Palmer’s approach is the league assisting clubs in building “festival style” modular stadium venues between 5,000 and 10,000 where they can be the primary tenant, but also rent the facility out for events in the community throughout the year. Having enough of these venues in place would give the clubs the ability to collectively negotiate with both vendors such as beverage and concessions companies as well as potential rental customers such as concert series to achieve greater value through scale. Palmer’s analysis of both the Armada’s state of affairs before his acquisition of it and the state of other NASL clubs that struggled financially is that a bad stadium rental costs can severely undercut a club’s financial viability. “Owning your dirt” eliminates that problem and turns into into an opportunity for further revenue generation, with about 85 nights per year worth of events breaking the facility even. Financing real estate projects is one of Palmer’s areas of expertise. In general the concept of clubs that are engaged members of their communities is a core value that many of the participants shared. To that end, Andrew Bresee of the Chattahooligans gave an impassioned presentation on how to engage supporters groups as partners and not just customers. Cutting Edge Capital gave a presentation on a few different models for Supporter Ownership in teams. Echoing President Kennedy’s famous line, rather than asking what the community can do for the clubs (ie, stadium handouts, etc), the idea is that the clubs reach out and ask what they can do for the communities. The model proposed would focus on a slower, long term growth plan versus trying to build up overnight and take on MLS or USL. Simply put the goal is to create a system conducive to offering American fans and players to experience the world’s game played by the world’s rules. The idea roughly laying a foundational component for something similar to Dennis Crowley’s “pyramid within a pyramid” concept. The focus is on building something outside of the USSF PLS and unencumbered by what many feel are arbitrary standards, selectively enforced by a USSF board with an agenda to support MLS and USL. What this solution lacks is the ability to call yourself Division I. However, one could argue that by playing within the USSF PLS, you are letting yourself be defined by a system controlled by your competition. By playing outside of the PLS through USASA, you and create your own Division A-B-C tiers instead of their Division 1-2-3 tiers. As stated, this meeting was generally focused on answering the question “what should we do?” rather than on “how should we do it?” beyond some basic vetting of the concepts being discussed. With the general consensus of that meeting forming around a USASA national league, there are several open items to explore further for those that decide they want in. One to be addressed issue I mentioned above is the structural details of who is in and how would conferences be setup, but another issue is how some of this will be funded. Several ownership groups have the capacity to meet the USSF’s PLS and therefore self-funding is not an issue for those groups. Other folks at the meeting would likely need some financial assistance to pull it off. Some the clubs at the meeting might have aspirations to join the system one day, but would not do so out of the gate. A minority of attendees might go in an entirely different direction (NISA, USL). The funding issue was not really addressed, and would likely be an agenda item for a subsequent meeting. Some previous concepts that have been floated were some of the wealthier owners such as Rocco Commisso and Riccardo Silva making funding available to other clubs, as was planned for the six NPSL teams that would have joined a 2018 NASL season if the injunction had been granted. Another approach might be for the league to fund building modular stadiums in certain areas, and allowing the team to buy the stadium back over time but to benefit from favorable treatment during that period. A speculative example on my part would be, imagine Tulsa Athletic – who have had venue troubles the past two years but drew very strong crowds when they played in Drillers Stadium – playing in an RP Funding sponsored stadium in a good location in Tulsa, and helping to host 70 or so other cultural and sporting events at the venue over the course of a year as a way to drive the financial viability of the club. Now do this in eight markets per region where you have a strong fan base and good operators running the club and venue. In theory several years down the road when enough of the clubs in this system have a strong footing you could create another level above this model that is still regional, but less so (maybe East/West vs Northeast/South/Midwest/West). However, design decisions like that are the stuff for future meetings. I am told that in the days after the meeting, the NPSL released a memo to its members informing them that the league was planning for two tiers in 2019, the traditional short season NPSL and a full season model of the league operating within their regions for those clubs ready for it. The Summit For American Soccer was a step in the right direction for many of the clubs involved, and Chattanooga FC should be commended for taking the initiative to organize it and get the ball rolling on progress after the NASL injunction/season cancellation and USSF election setbacks. One thing that is clear is that independent pro soccer in America is likely to fork into two directions at least for the short term. Most of the attendees of this meeting seem to favor the USASA path. Several remain open minded towards playing in NISA and therefore operating under the USSF’s PLS. What seems likely is that in 2019 we end up with two different independent club systems, one under the PLS via NISA and one under the USASA consisting mostly of former NASL and current NPSL teams. As an outsider looking in, there is an aspect of that which is very disappointing, because given how MLS and USL have been moving in such an orchestrated way, having the independents divided across two league systems seems counterintuitive towards bringing about everyone’s mutual success. However, as someone who has annoyed leadership on both sides with enough persistent questions, I can tell you with a high degree of confidence that the leadership figures involved are not going to work together in the near term. It is just not going to happen right now. I hope both groups are successful in their efforts, and that at some point in the future they can find a way to come together. Perhaps an optimistic way to view it would be as two sets of experiments – one under the PLS and one outside of it. If you are an independent club or investor group wary of the Pro League Standards and the USSF board’s enforcement of them, then USASA is the path for you. If you are more comfortable being recognized within the USSF’s pro system but don’t like the USL’s setup, then a successfully sanctioned NISA is for you. In theory there are enough clubs and investors out there for both to get off the ground. The path forward for most of the folks who met in Chattanooga will likely be along the USASA model, and the next step in the process will be a follow up meeting likely to take place sometime around the end of April or early May but it is for now TBD in terms of date and location. Perhaps most importantly, people seem to be picking themselves up and dusting themselves off after the depressing disappointments of the prior month, and focusing on solutions for the future.